Relay Engineering Limited is a well established specialist engineering company operating in the marine, defence, construction, commercial and industrial sectors - nationally and internationally. Manor Marine have been operating in the marine industry since 1981. The variety of skills available, together with the extensive workshop facilities have also brought numerous enquiries for Manor Marine to construct individual craft. To date the company have made a wide variety of vessels, ranging from small workboats to large passenger vessels. 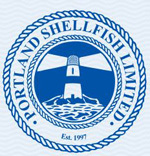 Portland Port is the home port for Global Marine Systems Limited. Global Marine Systems is a specialist provider of installation, maintenance and repairs of submarine communications cable for the telecommunications, oil & gas and energy industries. 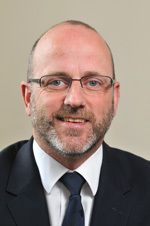 Quest Engineering Services was founded by Director Hugh Wiltshire in 1980 as a civil engineering diving company. Today Quest owns and operates a large amount of marine plant and equipment from their operations base in Portland Port Dorset. They can cater for a large range of tasks within the marine industry from stevedoring, laying a swinging yacht mooring or freeing a fouled propeller, to providing a full project management service for larger projects. Their contracts range from local jobs on the south coast to national and international projects, having had sent divers as far afield as Japan, U.S.A, Dubai, Kuwait and the Lebanon. From their base at Portland Port, Dorset, Portland Shellfish supply shellfish including Portland crab, Portland lobster, fresh crab meat, live langoustine, king scallops, dressed crab, potted crab, razor clams, palourdes and cockles to the finest restaurants in great Britain, therefore the world! Portland Shellfish have holding tanks that can comfortably accommodate up to 20 tonnes of crab, in perfect living environment, sourced from the best British fishermen. To open a trade account please contact them by phone or email. Native Marine Centre Ltd, based at Portland Port, is committed to providing a sustainable future for our oceans. They specialise in the consultation, handling and collection of native species for institutions focusing on the direct education and research of the marine environment. Native Marine Centre plays a key role in helping advance the conservation and ethical care of marine life helping to create a greater understanding of the sea and it's amazing inhabitants. Dragon Portland Cement is the South coast location for Dragon Alfa Cement. Successfully importing cement into the UK for 27 years, they are the most established cement import company in the country. Offering a complete range of bulk and bagged cements, mortars, hydraulic lines, white cements, post-fast and slab-fast to suit any building project. One of the UK's largest grain merchants. From their state of the art fuel storage Terminal situated within Portland Port, Portland Bunkers UK Ltd, along with partner Monjasa A/S, store and supply all bunker grades (IFO, MGO and ULSFO in accordance with ISO 8217). The facility is ideally located just within the western entrance to the Sulphur Emission Control Area (SECA), making it one-stop-shop for bunkers when entering or leaving the area. Bunkers are supplied at the safe and sheltered Outer and Inner Harbour anchorages by Bunker Barge or alongside the Terminal direct (EX-PIPE). PBUK/Monjasa’s professional operational staff provide you with the best service in the industry. For all enquiries please contact Portland Bunkers UK Ltd.